The Federal Amateur championship starts today in Canberra boosting a strong field including recent 2012 Keperra Bowl champion Brady Watt. Watt, who was runner-up to Oliver Goss in the all-amateur battle at the Western Australian Open a few weeks back, spearheads the 87 entrants. 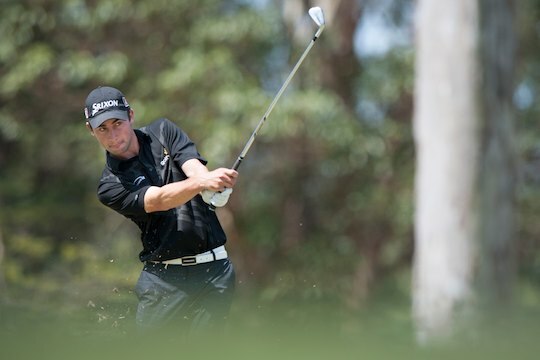 Goss unfortunately was a late withdrawal on Monday due to heavy schedule commitments after playing back-to-back tournaments in Western Australia and Thailand and will rest in preparation for next week’s Australian Masters after gaining an exemption through his win at the Western Australian Open. Goss’s non-attendance – given he is arguably the hottest amateur at present in Australia – will open the door for a number of in-form players to challenge Watt for the title. Dimi Papadatos will be looking to add to his 2012 Queensland Amateur Stroke title and has been playing stellar golf in recent times, including narrowly claiming the City of Sydney Amateur in a play-off last month to Jake Higginbottom, who will not be playing this week in Canberra. Luke Humphries was runner-up at the 2012 Queensland Amateur and is in search of his maiden amateur title. Humphries should feature strongly in this event as will Brett Drewitt, James McMillan who finished 5th at the Asia-Pacific Amateur on Sunday, James Gibellini, 2012 Golf SA Classic winner Chris Brown, Todd Sinnott, Rory Bourke, Daniel McGraw, Ben Clementson and Ricky Kato. At the conclusion of Saturday’s second round, the cut for Sunday’s final day of play (36 holes) will be limited to the 60 leading players, plus ties. The tournament was first staged in 1951, achieving Vardon status in the 1970’s and approved as a National Selection Trial event shortly thereafter. In more recent times the Federal Amateur has gone through an intervening period of dislocation – a result more associated with the politics within amateur sport than anything else. The tournament also lost its National Trial status in the process over what you might call trivial issues with Golf Australia dealing with the event’s timing and where it was to be positioned on the golfing calendar. The event’s current status under Golf Australia’s ranking is identified as “Tier 2″. In 2011 the tournament bounced back after not being played in 2010, when Tim Hart secured his first major amateur title with a wire-to-wire 7-under-par win over Kyle Grant. Previous winners include Nick Flanagan (2003) Gavin Flint (2004), Rick Kulacz (2006), Daniel Beckman (2007), Matt Jager (2008-9).